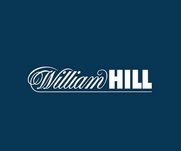 William Hill are one of the Big 3 UK bookmakers and have a range of markets available. They also have a cryptologic Casino which runs from the same account and a suprisingly good bingo section (if only for the slots offers!). They have competant customer support, but it's worth screen grabbing any bonuses you take up just in case you are asked what it was and when it was. The main reason to open an account, and this is really true of all bookmakers, is that the odds and offers at William Hill, especially on the horses, are really good. Along with the good odds there are regular enhancements, free bets and risk free casino offers that offer a great chance of making some money. Withdrawals and deposits are always free and received within 3 working days.